Dog wheezing is a symptom which can be caused by upper respiratory problems, such as asthma, bacterial and viral infections, and more. 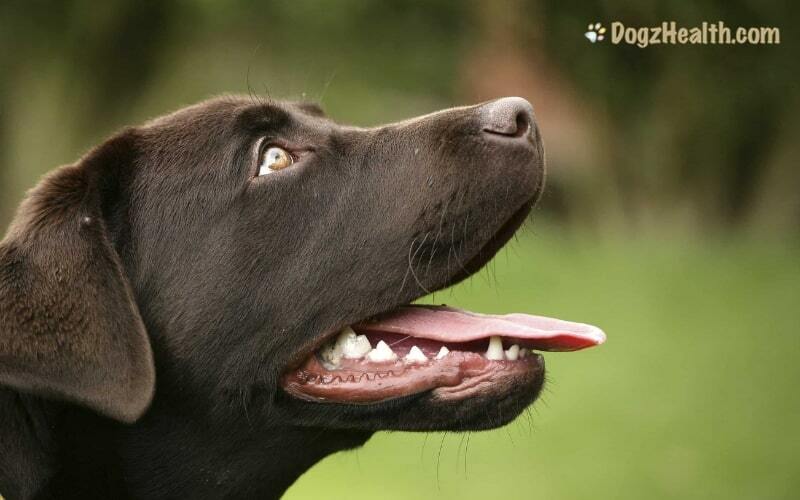 When a dog wheezes, you can hear a whistling sound when the dog breathes in and/or out. In a healthy dog, the airways expand and contract rhythmically so that the right amount of oxygen is delivered to the lungs. Normal breathing is usually quiet and calm. Wheezing occurs when there is a problem with the airways. When the airways contract too much, oxygen has to squeeze its way through, resulting in a high-pitched, whistling sound. So dog wheezing is a sign indicating some problems (usually spasm or narrowing) in the trachea or bronchi. Many dogs wheeze when they have an allergic reaction to certain irritants, such as pollen, house dust, cigarette smoke, etc. Chemicals in pesticides or some kind of flea control products may also cause allergy-prone dogs to wheeze. Sometimes a dog can develop an allergic reaction to insect bites or stings. If your dog starts wheezing after being stung or bitten by an insect, take him to the vet immediately, especially if the dog seems to have difficulty breathing smoothly. Dogs suffering from respiratory problems such as asthma may also wheeze. Other common symptoms related to respiratory problems include coughing, sneezing, and gagging. Chronic sinus infections (e.g. caused by a root infection of the upper canine teeth) can cause wheezing. Viral or bacterial infections (e.g. kennel cough) can also result in wheezing in dogs. If your dog suffers from kennel cough, he will also have a dry, hacking cough with gagging and retching. Some parasites can cause dog wheezing. One such common parasite is the heartworm. When the heartworm larvae migrate to the dog’s heart and develop into adult worms, they can block blood flow and consequently oxygen supply to different body organs, including the lungs, is reduced. This causes dog wheezing. Also, the dog may show symptoms such as coughing, shortness of breath, fatigue and weight loss. Some breeds of dogs (such as pugs, bulldogs, shih tzus) whose muzzles are short often show some degree of airway obstruction. This condition is known as brachycephalic syndrome and is manifested by mouth breathing, snoring, and snorting. Sometimes (especially when the dog is exercising or is overheated), the dog may also wheeze. Other canine health problems that may cause wheezing include congestive heart failure, and tumors of the larynx, trachea, and lungs. 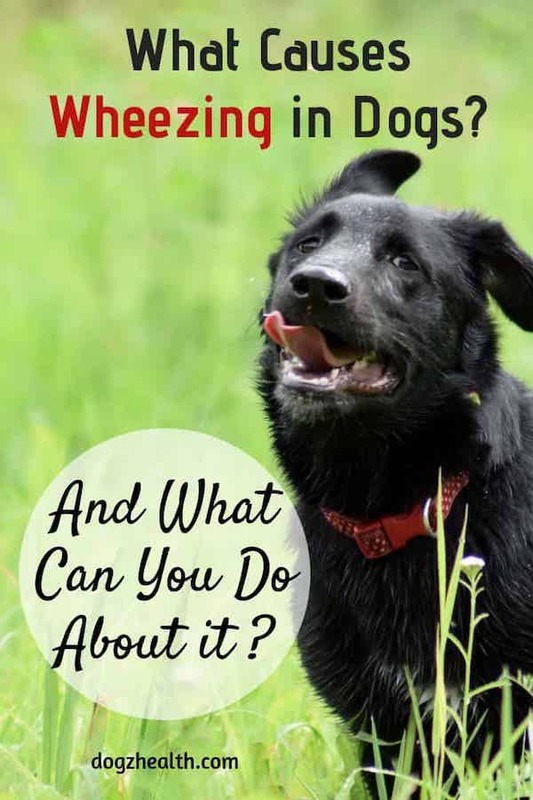 As you can see, there are quite a few possible causes of wheezing in dogs. If your dog has repeated bouts of wheezing, or if the wheezing lasts longer than 30 minutes, then it is advisable to take him to the vet for a check-up. If your dog’s wheezing is caused by allergies, try to identify the irritants and remove them from your dog’s environment (chemicals, cigarette smoke, and detergents are usually to blame). It may not be easy but with a bit of detective work, you may be able to remove at least some of the irritants in the environment. Consider using an air purifier or air filter to remove dust and dirt particles. Clean air is less likely to cause respiratory issues both in people and pets! Use a humidifier to moisten the air so that it does not irritate your dog’s airways. Dogs tend to have more respiratory problems when the air is too dry. Smoking is bad for you and your dog! If you have to smoke, do it away from your dog. Do not smoke around your dog. Use natural home remedies to help your dog breathe easier. Consider using Lung Gold for Dog Lung Infections and Easy Breathing to help relieve wheezing and chest discomfort. 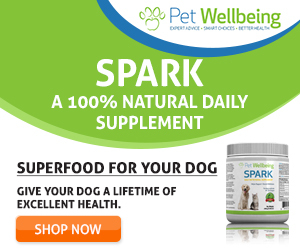 This is a natural herbal remedy that decreases wheezing and loosens tight chests so that your dog can breathe easier. It also promotes healthy respiratory functioning and supports the lungs and the entire respiratory system. Strengthen your dog’s immune system so that he is less prone to infections or other respiratory problems that may cause wheezing. This is an all-natural herbal product that contains a combination of specially selected herbs, such as elderflower, goldenseal and echinacea. These herbs can boost the immune system, as well as support liver health by helping to cleanse and purify the body system.